PIQUA — The following are highlights from the Piqua police reports on June 5. Information is provided by Piqua police reports and Miami County Jail records. 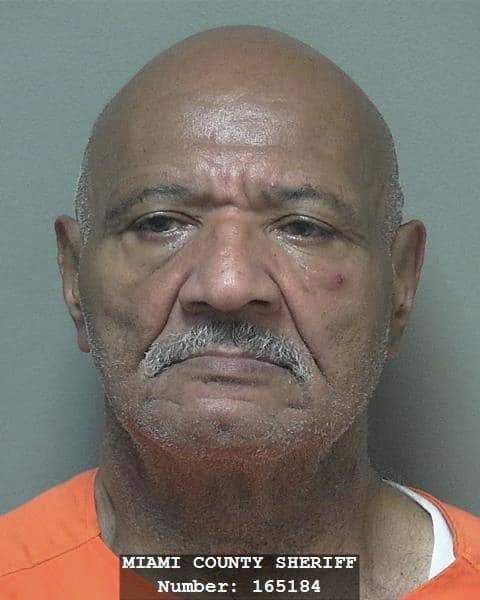 BREAKING AND ENTERING: John W. Ross III, 65, was arrested and incarcerated on June 5 at 4:38 p.m. According to the Miami County Jail records, Ross faces charges of fifth-degree felony breaking and entering and fifth-degree felony attempted burglary in connection with incidents in Piqua. Ross was suspected of attempting to break into the Piqua Food Mart in September 2014. Ross was allegedly caught on camera attempting to throw a rock through the glass door. Ross also allegedly stole 62 cartons of cigarettes and damaged $221.62 worth of ice cream at Marathon on Looney Road in September 2014. THEFT: Piqua police responded to Kroger on June 5 at 12:25 p.m. due to a complaint about a theft. A bicycle was reported stolen on June 5 at 2:40 p.m. It was taken while the owner was inside Coughlan Chiropractic on Wayne Street. An FM antenna was reportedly taken from a vehicle at Aldi’s on Ash Street. It was taken sometime between 3 p.m. and 4 p.m. on June 5. A lawn mower was reported taken from a residence on the 200 block of Roosevelt Avenue on June 5 at 8:32 p.m.
CITIZEN ASSIST: A resident had questions about how to remove a cat that was stuck in-between the floors of a residence on June 5 at 1 p.m. She was referred to the animal shelter for further advice. A resident reported receiving a prank call on June 5 at 3:38 p.m. The resident stated that “she received a call and a man stated that he had been kidnapped and was laughing,” according to police reports. Police attempted to call the number, but the phone was disconnected. TRESPASSING: Police responded to a trespassing complaint at the Piqua Village Apartments on June 5 at 2:30 p.m. SUSPICIOUS: A resident on the 200 block of Broadway Street contacted police on June 5 about a car she did not recognize being parked in front of her residence for two days. An officer told the resident that registered owner lived close by and was parked legally. An anonymous caller reported seeing a young child around the age of three riding a tricycle naked in the area of Grant and Wayne Streets on June 5 at 7:23 p.m. Police checked the area and spoke with neighbors, but the alleged child was not located. A male was reportedly driving a John Deere Gator in the road on County Road 25-A near Starfuel without proper lights or a slow-moving sign on June 5 at 9:16 p.m. Police did not locate the vehicle. An anonymous caller claimed people were doing drugs inside of a house on the 600 block of Beverly Drive on June 5 at 11:34 p.m. According to police reports, there were no signs of drug usage and it appeared like the resident was having a cookout. A resident on the 900 block of High Street stated that he heard a noise and thought he saw three males throw something at his vehicle on June 5 at 11:36 p.m. Police located one subject, who stated that someone else had “shot off an air soft rifle with nothing loaded.” There was no damage to the vehicle. A resident reported seeing people riding go-karts on the 1400 block of Manier Avenue on June 5 at 7:36 p.m. Police did not observe any violations. A resident stated she saw suspicious activity going on in the alley behind her residence on the 300 block of Wayne Street on June 5 at 8:40 p.m. WARRANT: Christopher A. Evilsizor, 45, was picked up on a warrant for a probation violation while near St. Mary Church on Broadway Street on June 5 at 10 p.m. OBSTRUCTING OFFICIAL BUSINESS: A male juvenile was reportedly “throwing fireworks at people” in the area of Greene and Franklin Streets on June 5 at 10:33 p.m. According to police reports, the subject ran. Police also confiscated alcohol. The investigation is still ongoing. ASSAULT: A man stated that he was assaulted while at the St. Marys Festival on Broadway Street on June 5 at 11:10 p.m. Scott A. Evans, 39, was charged with first degree misdemeanor assault in connection with this incident. DISTURBANCE: Police responded to a reported disturbance on the 400 block of Wood Street on June 5 at 3:44 p.m. The complainant stated she and her boyfriend were having a verbal argument, but there was no violence or threats of violence. The boyfriend left shortly before officer arrival.